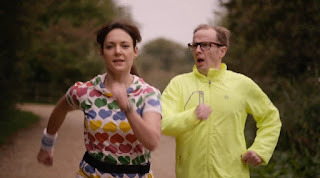 Made in 7 days in conjunction with the Aarhus Short Film Challenge 2014 in Denmark, this silent film is full of heart and plenty of chuckles. 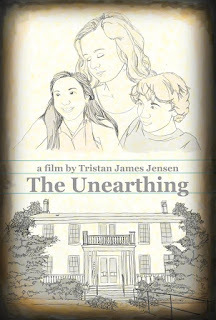 The Unearthing is the first feature film from writer/director Tristan James Jensen. It plays like a PG version of Stephen King’s “IT” – a small group of random teens become friends, discover love for one another, and fight a supernatural evil. Unlike “IT”, however, “The Unearthing” is not a horror film, but a coming-of-age tale wrapped in a ghost story. The movie starts off by introducing Autumn, who is traveling with her dad to Stillwater, Minnesota for the Summer. After her first night, she awakes to find Charlotte, a local girl, sitting at her beside, drawing in sketchbook. While initially shocking, it seems that Charlotte is good-intentioned and just looking to help Autumn make some friends in a new town. She invites Autumn on a hike, where they happen upon an awkward and shy boy, Parker. Autumn reluctantly becomes friends with these two, mostly thanks to Charlotte’s pushy optimism, and they invite her to explore the town, including the Warden’s House Museum, where Autumn gets her first taste of the supernatural.